This photo, taken at Portlands River View Cemetery, was something we just came across. 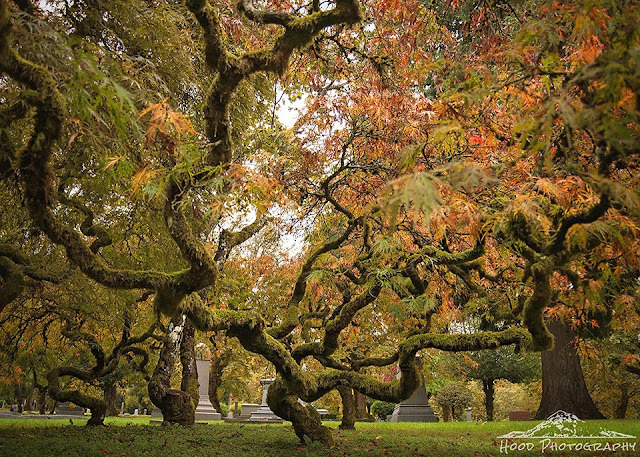 This group of about 5 japanese maples stood only a few yards from the huge Henry Weinhard family plot. I squatted down underneath the tree that had the most color change showing and took this photo, which makes the short bushes appear much bigger than they actually are. Wow!!! That is just a spectacular image. Again, wow!!! The tangle of the trunks and branches really stands out in this case! What an amazing tree - WOW! 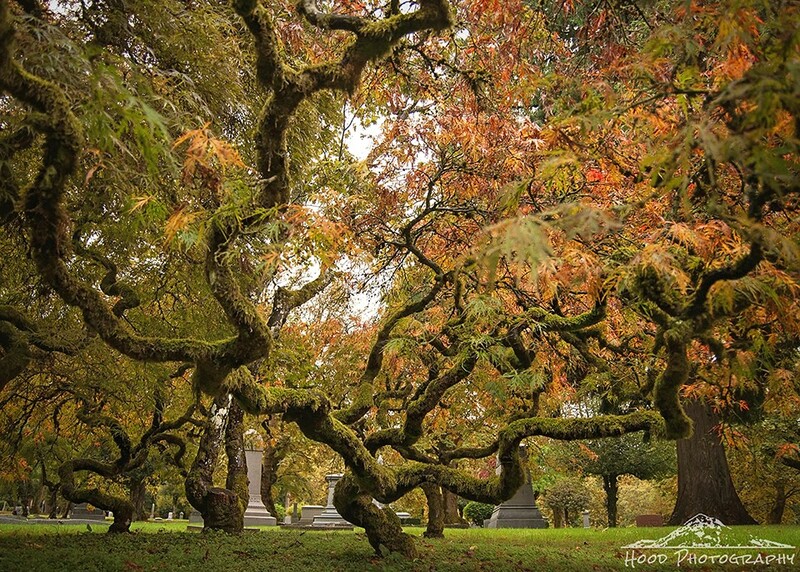 These trees are amazing...huge with such fascinating curving branches. Love how you shot this. The perspective is curious. Great shot. I love how the tree branches are formed on this tree. Nice find. Captured beautifully. Love the colours and shapes here - what an eye-catching picture!